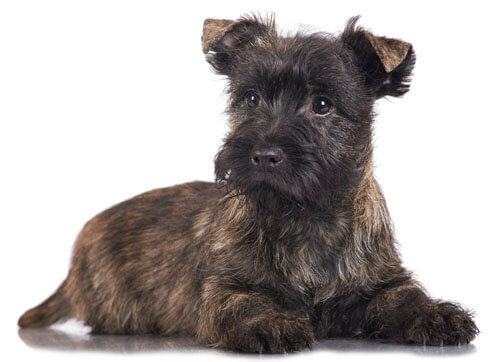 The Cairn Terrier’s coat can come in a variety of colors ranging from a sandy grey to cream and even black and is noted that their coats can change color as they age, often becoming more black or silver. Their outer coats can be described as harsh and weather resistant while having a soft undercoat. 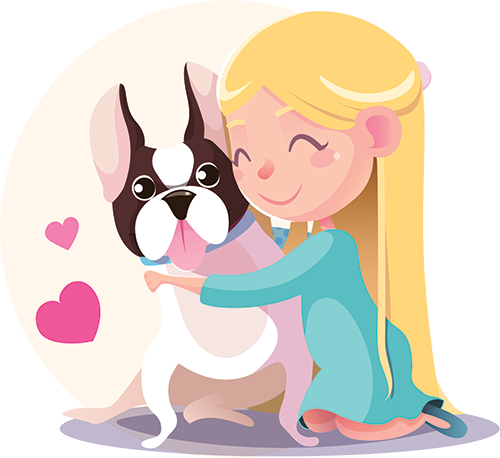 These dogs are very friendly, playful and affectionate, making them great with children or other dogs. They’re intelligent and loving, and can sometimes demand a lot of interaction from their person. Cairn Terriers originated in the highlands of Scotland and earned their name from hunting small mammals, such as rats and other vermin, from the piles of stones used to mark ancient burial sites, which were also called ‘Cairns’. Later farmers used Cairns to keep their farms and property free from these pests. Toto from ‘The Wizard of Oz’ was a Cairn Terrier, which made the breed quite popular in 1939. If the Cairn Terrier is the companion for you, then you will have an intelligent and energetic little buddy who loves to play and be a part of your family.